I was a late arrival to the e-reader world. I admit it: I was reluctant to give up the feel of paper under my fingers and the scent of the newly minted pages. Still, I could see the benefits of the digital book: I wouldn't have to buy more bookshelves, I could take advantage of the great deals I'd seen advertised for e-books, and I could comfortably read books by authors who only published digitally (I'd previously tried to read on my computer, but found it awkward). The week following Christmas, I was sick, but it didn't matter because I could buy books with a tap of my finger from the warmth of my bed. I read nine books that week. However, the benefits don't end at the convenient purchasing. I've started tucking my e-reader in my purse when I leave the house in the morning. I have used my e-reader at work, among colleagues and clients, and they have no idea what I'm reading. Though most everyone knows I read romance, I still find the anonymity of an e-read's blank back to be freeing. Yes, e-readers are brilliant and addictive, but I can see now that my e-reader is also changing the way I read. I used to read quickly, skimming over slow sections, skipping to the end on occasion to ensure I would be rewarded satisfactorily (I love my HEAs), monitoring where I was in the book, and flipping back to re-read if I needed to refresh my memory of names or situations. So, in other words, I didn't read linearly, systematically working through the book page by page. What I've discovered, however, is the difficulty in skimming, skipping, monitoring and flipping with an e-reader. There are steps involved and they take time. For example, what should be a quick glance to see if I'm halfway through the book now involves taps, screen changes, waiting, and then more taps, changes and waiting to get back. I read more slowly... almost trapped on the page I'm reading, making sure I've captured and absorbed all pertinent information because it is more difficult to track down the information later if needed. And, I haven't effectively skimmed forward in a book to see if it is salvageable, which I think makes it more tempting to abandon a book rather than trying to find the potential gems that may come later. I wonder if other people have noticed any changes in their reading habits. 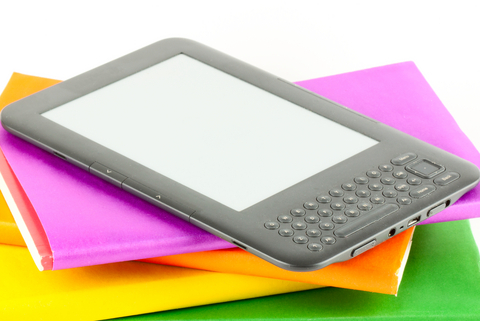 If so, will the rise of the e-reader change the way that authors write? Or, does it just mean that the "guidelines" for writing become even more important - tension on every page, smaller cast of characters, distinctive voice and name for each character, etc. ?